High quality and environmentally friendly, Longchamp Hay ®, an exclusive trademark, is a type of hay grown specifically to meet the food and hygiene needs of demanding customers. Longchamp Hay ® is particularly suitable for horses. The hay is grown according to precise specifications. Longchamp ® Hay is generally cultivated on grain land and is either rotated or permanent.The land is seeded with an approved cultivar for 3 to 5 years, in collaboration with farmers, or by agricultural contractors selected by Fourrage Doulière.Our partner companies, specialized in high-quality hay, are responsible for harvesting. All monitoring, testing, and sales are conducted by Fourrage Doulière Sarl, the exclusive owner of the trademark.If you are interested in planting meadows with Longchamp Hay ® and wish to enhance the identity of your area while maintaining control over your land, contact our services through the Become a Supplier section of our website. It’s our job to promote tradition, taste, and the quality of the land through hay. Just like wine or cheese, these types of hay are selected from various areas of France. Reputed for their fattening or milk production properties, they are produced by growers with a common passion and expertise. Through its knowledge of all of these agricultural regions, Fourrage Doulière is able to select the best hay lots, guaranteeing a quality and quantity to its customers that a lone grower, subject to the vagaries of a single production, could never meet. 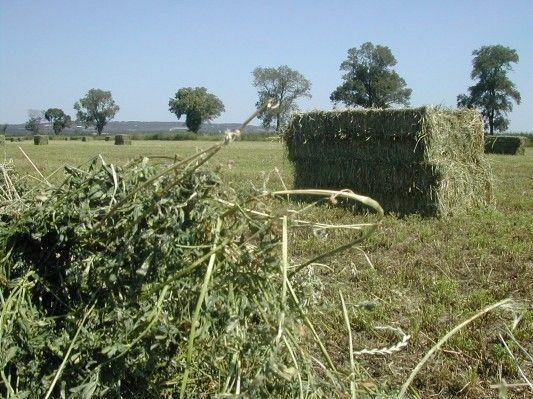 Crau Hay is grown by 300 producers, mostly grouped together in a committee in the Crau plain, an ancient delta of the Durance River in the French department of Bouches-du-Rhône.The forage has enjoyed the “Controlled Origin” (AOC) label since 1997 and obtained the AOP (“Protected Origin”) label in 2009. It is the first animal feed to receive such a distinction. Its floral composition and very specific smell distinguish it from other types of hay. Bales are bound with red and white strings for producers belonging to the committee. Crau Hay AOP sales are guaranteed by a delivery receipt which attests to its origins. Crau hay accounts for only 0.02% of the hay sold worldwide, but is nevertheless internationally renowned for its unique floral composition, nutritional properties, and palatability. The hay is enjoyed by racehorses and cows, as well as dairy goats and sheep for cheese production. Second cut: very well balanced in nutrients and minerals for dairy cows, goats, and sheep because it increases milk production while maintaining good health in the animals. Crau hay is well-suited for racing trotters and sport horses, broodmares, and foals because it is rich in protein (0.64 to 0.75 FU). Timothy grass, native to Japan’s Hokkaido region, was involuntarily introduced to North America by the first settlers. 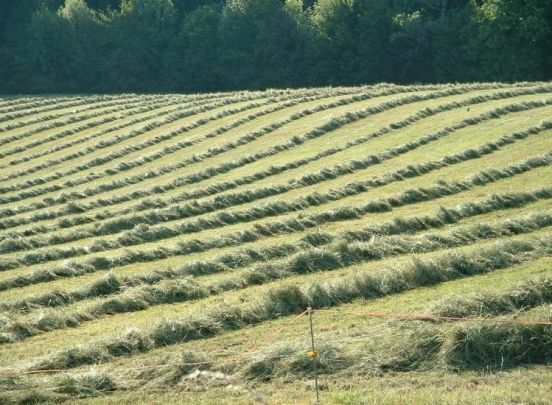 A farmer named Timothy Hanson introduced it to the southern United States in the early 18th century and began promoting its cultivation as hay around 1720. 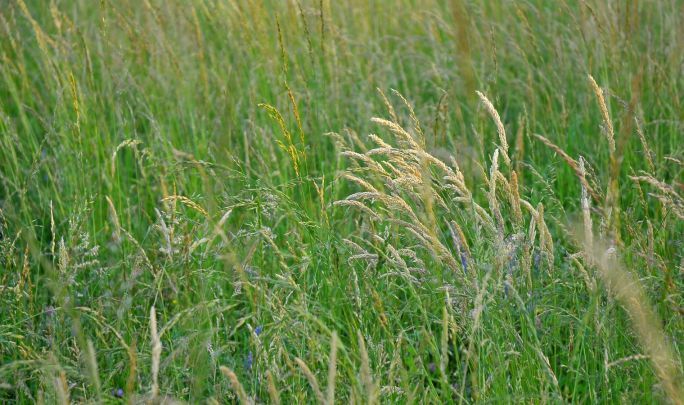 The grass has carried his name ever since and is used for feeding dairy and beef cattle, and is particularly popular in Asian horse racing markets. Production and export have rapidly expanded in recent years in Western Canada, the USA, and Australia. Japan alone imports more than 80%. 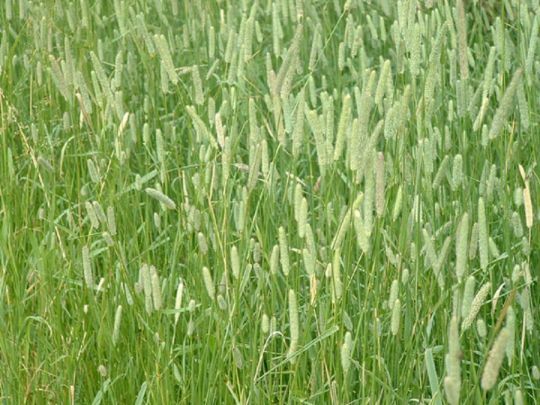 It is renowned for the regularity of its cuts and freedom from mycotoxins. Alfalfa cultivation is the archetype of the “ecological break” promoted by the Grenelle Environment Forum for its ability to improve the soil (large deep root mass, also making it resistant to drought) and its organic contribution. Alfalfa is a leguminous plant with the great advantage of being able to fix atmospheric nitrogen into an organic form, preventing it from entering the groundwater.Its cultivation allows three times less synthetic nitrogen to be used. Alfalfa is known for its high protein content, making it optimal for promoting muscle mass in beef cattle, or for increasing production in dairy cows. It is also rich in carotene and minerals. High-quality forage from the most meticulous producers, its value is found in its leaves which are very sensitive to high temperatures and excessive humidity. Contains calcium, easily assimilated phosphorous, magnesium, potassium, and a variety of trace elements. Plays a role in regulating rumen function and as a buffer substance. Many benefits for conserving and preserving the nutritional qualities of the fresh plant, and for consumption. 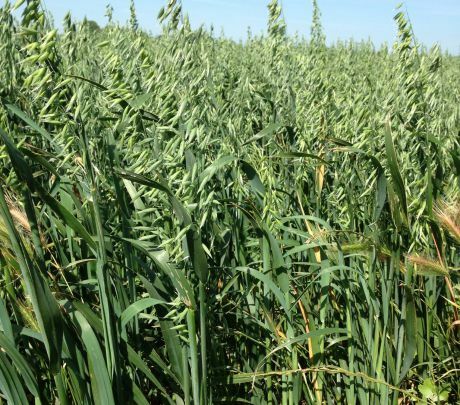 Regardless of its high quality forage, oats has the great advantage of not occupy the soil for a relatively short time. Temporary culture of fast growing plants, it helps to protect the plots between two sale cultures, maximizing the profitability of surfaces. It produces a significant biomass and provides a good ground cover, acting as a nitrates-trap remaining after previous sales culture. 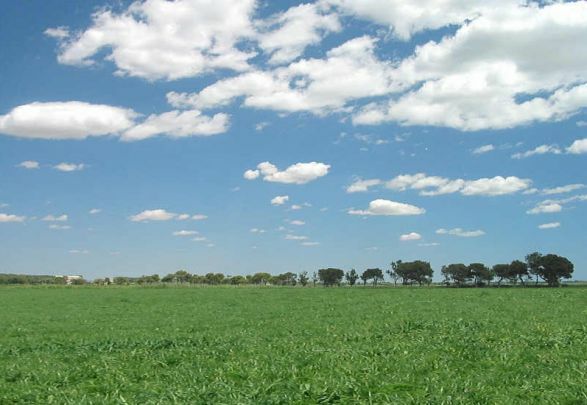 One of the least expensive way to achieve the requirements of the Common Agricultural Policy (CAP) regarding the obligation of vegetation fields during winter. Another important interest: the fight against weeds. Its rapid establishment as "green manure" prevents development of weeds and limit the use of herbicides. It plays a role in maintaining the biodiversity: Allows the soil to get well aerated through its root system. This unpacking improves microbial life of soil fauna. Growing oats surfaces also allows the bees to use the pollen produced by these plants as a nutrient. Feed mainly used in feeding horses: palatable, providing cellulose digestibility and transit regulator, oats contain a large amount of beta-glucan valuable nutrients : dietary fiber, protein, unsaturated fatty acids, vitamins, minerals and antioxidants. It can be grown in a mixture with a legume, which improves its protein content. Feeding horses, cattle, sheep and goats. Harvesting methods using a traditional threshing machine, conducted partly at night, in the midst of the hot season. These methods keep the straw from breaking and creating dust that would be irritating to the horse’s respiratory system. Cut as long as possible, with the awnless head.It is a product of exceptional quality, particularly sought out by reputable horse owners and trainers, anxious to provide the best bedding. The growing area is spread over the high and low lands of the Camargue. 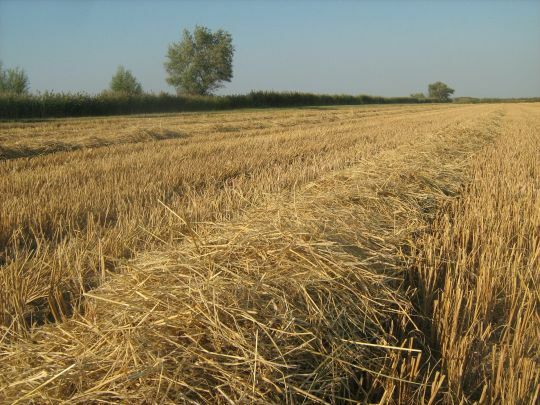 Compared to other cereal straws, harvesting rice straw requires greater care in selecting varieties, respecting the height of the cut, and choosing the land. If these criteria are strictly respected and followed, it proves to be a product of excellent quality.In rice-producing countries, this straw is a dietary staple for dairy cows, and particularly buffalo. It is mixed with green forage and concentrates. Rice straw harvested at 85% dry matter is as bulky as other cereal straws. Its use as a food source should be combined with other types of feed. The advantage of rice straw is its strong and rich fiber content as a mixed ration: compared to wheat straw alone, a mix of half rice straw and half wheat straw offers 20% more crude protein (4.65% of dry matter compared to 3.89%). Rice straw with 0.51 FU offers 40% more fodder units than wheat straw (0.35 FU). Fourrage Doulière has been a pioneer of this type of harvest since the early 2000s. Can be used for bedding: thanks to this treatment, the product is 4 times more absorbent than standard straw. Due to its flexibility and high absorption capacity, it reduces cargo loads, storage, and handling. Defiberized straw can be used to supplement diets that are too low in cellulose or too wet for ruminants. The defiberization facilitates transit. ALMANZOR wins the Champion Stakes at Ascot !